Science, Electronics and Telecommunications from the University of Bologna. Since 2006, he has been working on the development of intelligent DSSs in the environmental (in cooperation with the Italian National Agency for the Energy, Environment and New Technologies) and clinical field. He is a member of the Drools Community, contributing to the core engine research and development, as well as leading an experimental sub-project on the support of various forms of non boolean reasoning (uncertain, fuzzy, semantic and subsymbolic). 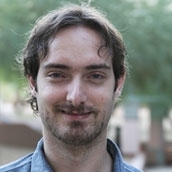 After working as an independent private consultant and as a post-doc researcher at the University of Bologna, he is currently an Assistant Professor at the Department of Biomedical Informatics at Arizona State University in Scottsdale (AZ), where he works on knowledge representation and reasoning techniques for clinical decision support.